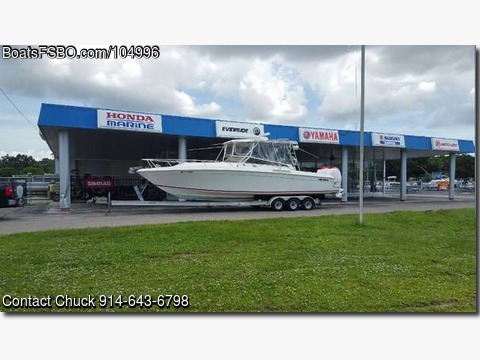 Please call Chuck at 9I4-643-6798. Boat is in Key West, Florida. I have for sale a 35 Contender Side Console that is fully equipped with running hot water/sewage system, Air conditioning, Insulated fish lockers, bait system, salt & freshwater wash down pumps, full head, microwave & stove tops, sleeps up to four persons, Trailer and much much more! Team Big Dog Sport Fishing.